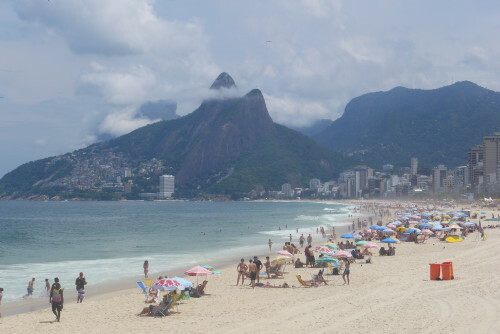 and then at Ipanema. 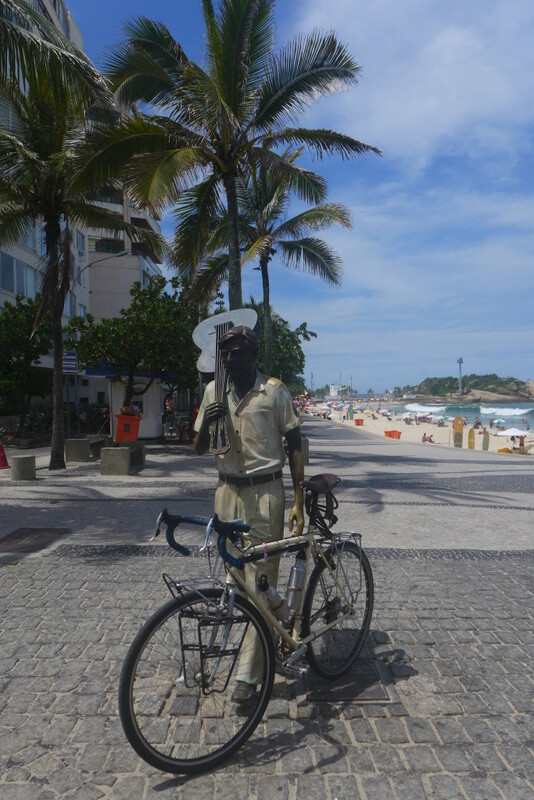 The statue of Antonio Carlos Jobim, one of the most famous musicians of Brazil and driving force behind the Bossa Nova, is standing right next to the beach. Here’s a link to a performance by Jobim with Frank Sinatra of ‘Garota de Ipanema’, The Girl of Ipanema. A bicycle, a guitar and a girl to sing about is all you need. On my way back i stopped at the Pão de Açúcar, the Sugarloaf Mountain. 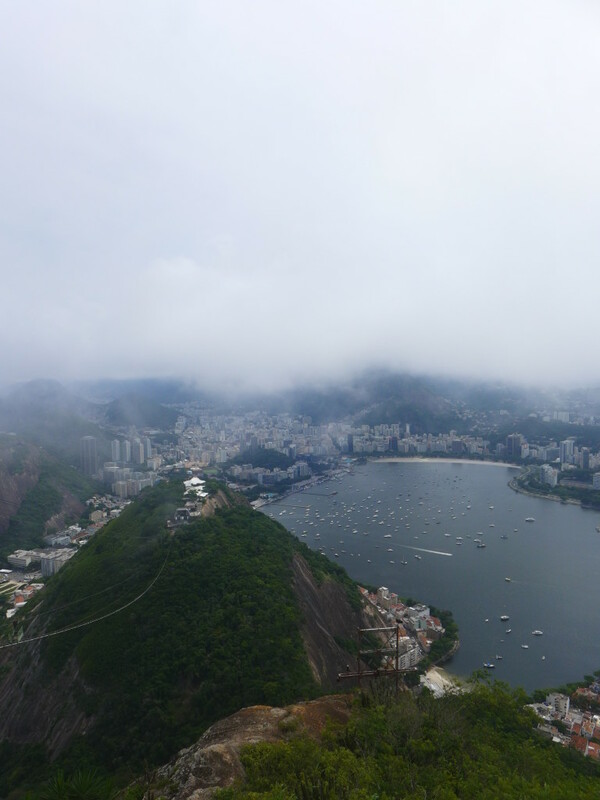 Since i didn’t plan to visit the statue of Christ the Redeemer, i at least wanted to visit one viewpoint to overlook the famous natural harbour of Rio de Janeiro. The weather was nice though sometimes cloudy. While ascending with the cable car, the top drifted in and out of the clouds. 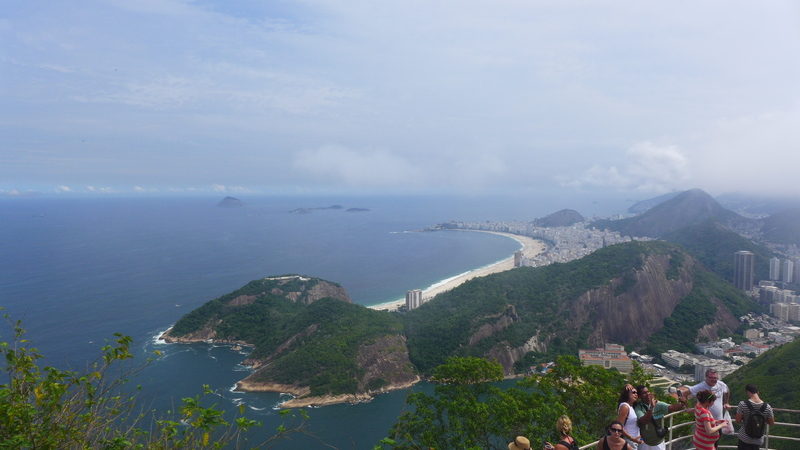 Once up, there were enough sunny and clear moments to enjoy the view, like here over Copacabana. With a group from the hostel we spend the next day exploring Santa Teresa. 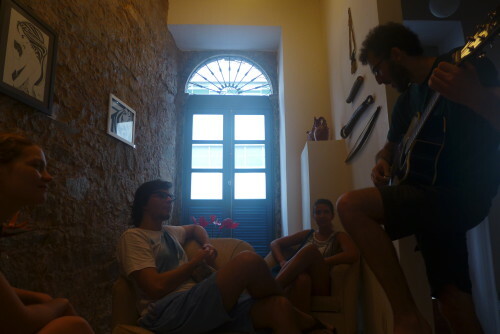 But first we were playing some russian songs in the lobby of the hostel. We met up with some more people at the ‘Espirito Santa’ restaurant before ambling along the cozy streets of the quarter. 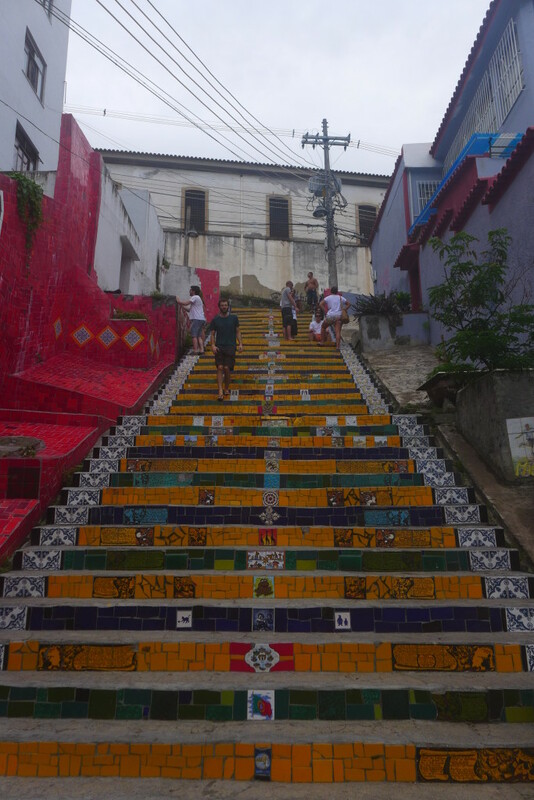 Then we headed over to the ‘Parque das Ruinas’ before descending on the famous Selaron Steps. 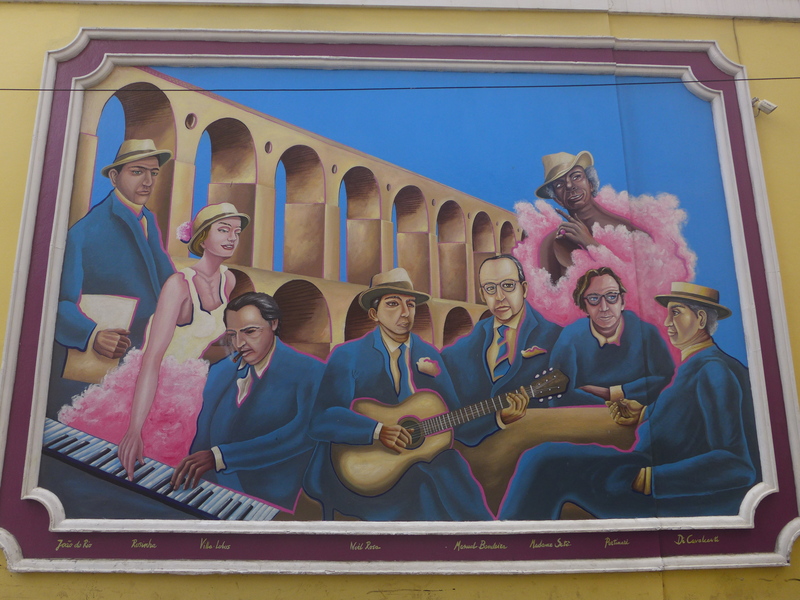 Where soon after we passed this mural depicting musicians of Brazil. While walking a bit aimlessly through the streets we came across an old building and were wondering what it is. While chatting to some of the people busying themselves around the house we found out about a party with live music that same night. The place being just a bit above Largo dos Guiamraes. It turned out to be a cracker of a night with superb music and vibrating atmosphere. A great last evening before leaving this great continent. Thanks for reading and sharing. Maybe some more updates will follow or we will hear from each other during the next trip. Until then enjoy the adventure that life is! !